I hope you're having a nice week so far. I'm sorry I haven't posted as much lately. I'll be completely honest; this past week has been crazy! I'm now just getting back on track, which means I'll have more blog posts for you all. 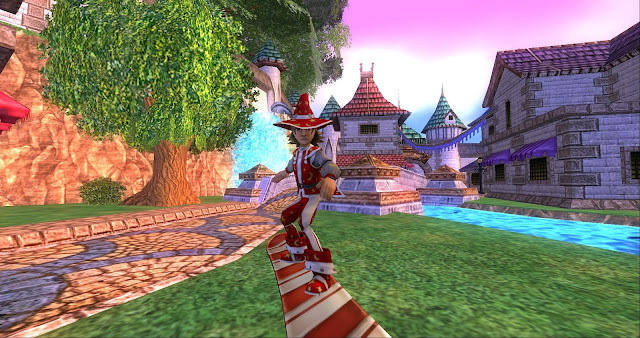 The 4th of July, also my 8th Wizardversary that I celebrated, is now over. 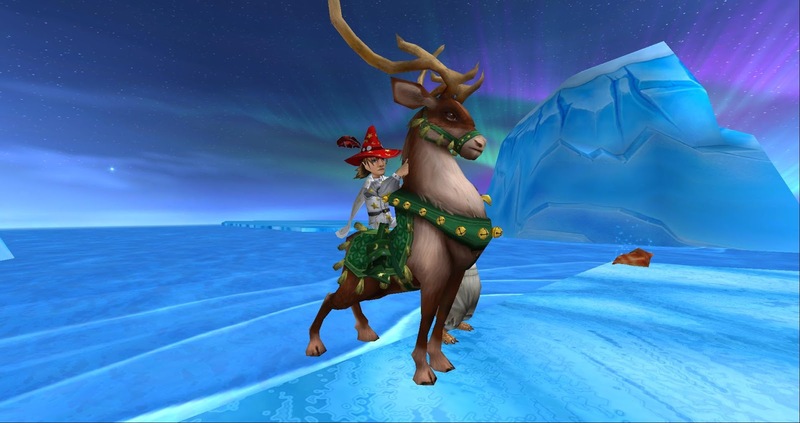 It's time to move on to Christmas in July - and on Saturday, July 29th we'll be celebrating that on the game. I decided to post a few thoughts of the day - a bit random, but still important things to remember. I hope to see you at the Santa Run later this month. The Santa Run will take place the day after my Birthday, so for once I will not be bored on July 29th! It's always nice hanging out with you all. I hope you invite your friends to this event. I'm going to try to think of fun morning activities that we can participate in while we're waiting for the official run to start. I hope to see you all there. Everyone is invited and these events will never stop. I hope you all can attend. Advice of the Day: Accept Everyone! Be the person you were meant to be! Remember to accept people for who they are. Always be kind to everyone. You always have a choice and nobody can make you do anything that you don't want to do - so I hope you make the right choice. Everyone deserves a friend and the events that we have try to help the community grow in a positive direction. Bullying is never okay, harassment is never okay, and none of it should be considered appropriate or ever be justified. It's not cool to hurt others - it not only makes you look bad, but it has very negative effects on everyone. People who may look up to you might think it's okay or that they're not enough / deserve the same thing you put onto others. Nobody deserves to feel like they're nothing. We're all lucky to be alive and deserve to be who we want without people making others feel bad because they're jealous of their happiness. Everyone deserves to be happy, and you can be happy by not hurting others. Always make the right choice! This is my new profile picture! I love it! :D Merry Christmas in July! I hope you're having a great First of July! Today is Canada Day for our Canadian friends, so Happy Canada Day, my friends! Today I could attend one of our favorite YouTubers, Skelemystyks' Birthday Party. I was late to his party, but you know I had screenshots ready for this awesome event. Today, the event was for wizards with their first names A-J (which I arrived at, but I'm still going tomorrow since I'm a blogger and I want something to blog about). 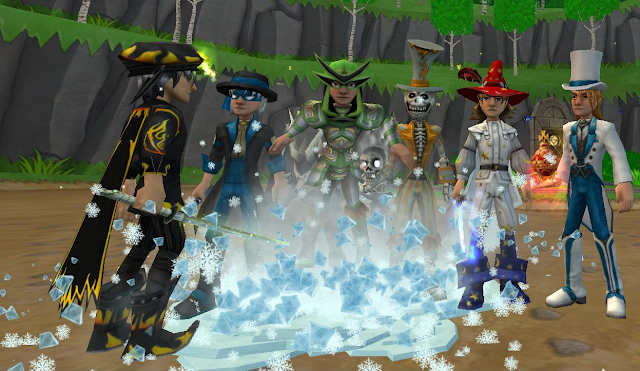 This event was a lot of fun and it was very nice of Skele to have events/contests like this for his Birthday. We're very lucky to have him in the community! I am sad I was a few hours late, but it's better to be late than never! Skele had Housing Games and those who won the housing game got to win a game card pack from the Wizard101 Crowns Shop. While I was there, he also had a Costume Contest for everyone in attendance to win an Avalon Outlaw Bundle. Jessica won the costume contest with her amazing Dunerunner's Gear from the Mirage bundle. A few even got to win a game card pack! Everyone was dressed nicely, but many who entered still said congratulations to Jessica! There are two more events that Skele is planning on throwing tomorrow and on Monday. I hope you think about going to them if you're able to. I've included a link to Skele's video where he describes where/when you can meet for those events. You can click on the link below or anywhere on the last image attached to this blog post. Thank you and Happy Birthday, Skele! I'm glad you're in this community and congratulations on 13,000 subscribers on your channel. Thank you, Courtney, as well for everything you do! Happy both of you are here! Remember, we should support everyone in this community for the good things they do. Wow, everyone has such awesome gear on! Great people. Thanks again, Skele, for the picture!